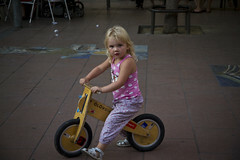 The Kids and I are heading back to Barcelona on our summer holidays in a couple of weeks. We were looking at photos of the last time, four years ago, that we headed to Catalonia. 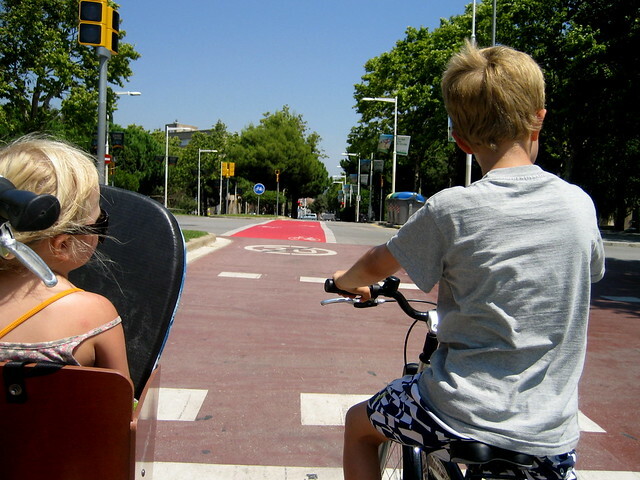 There are not many large cities in Europe that are bicycle friendly and that have beaches - which was one of the reasons that we went to Barcelona. I wanted to ride around with my kids. Copenhagen, with its amazing beaches, is one city, but you have to look far and wide for others. Barcelona is amazing. It is well on its way to being a bicycle-friendly city. 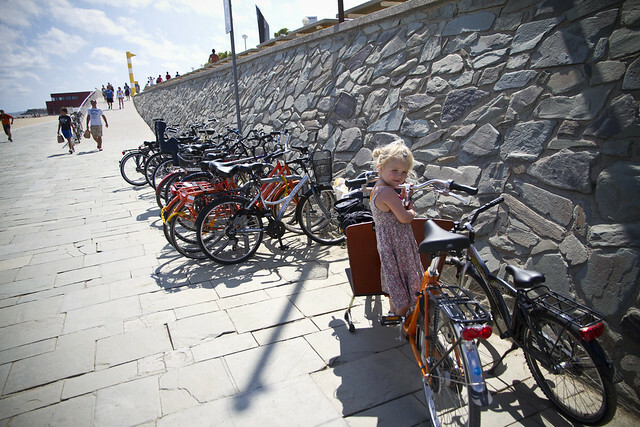 It ranks on the Top 20 in the world on The Copenhagenize Index 2015 - Bicycle-Friendly Cities Index. Here are photos of our last trip. 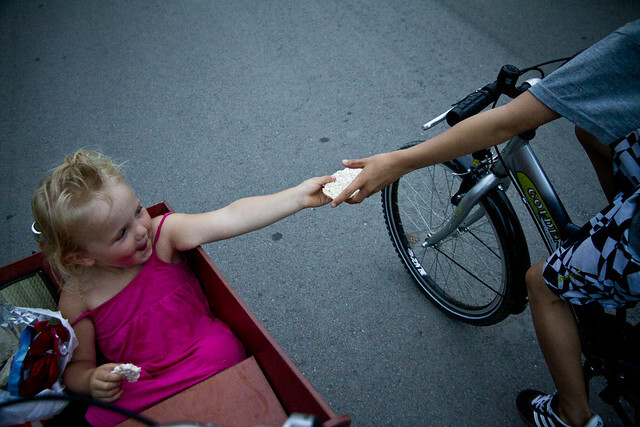 We borrowed a clunky Bakfiets from a friend with a bike shop. Not sleek, light or stylish like the Bullitt, but it did the job. 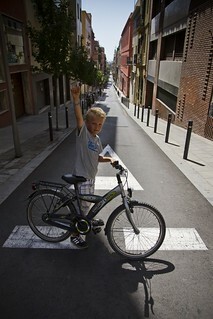 5 kilometres to the beach and 5 km back each day, up the hill to the amazing neighbourhood of Gracia, where we stayed. 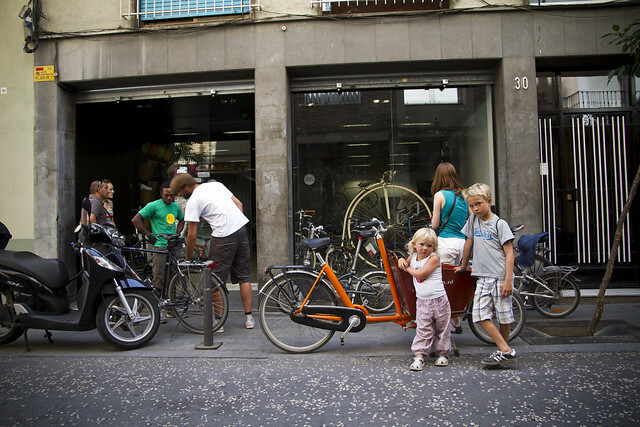 This year we'll be staying in an amazing home exchange through Behomm, in the El Born neighbourhood, and we're looking forward to exploring this area. Follow me on Instagram - @copenhagenizer - for daily photos. 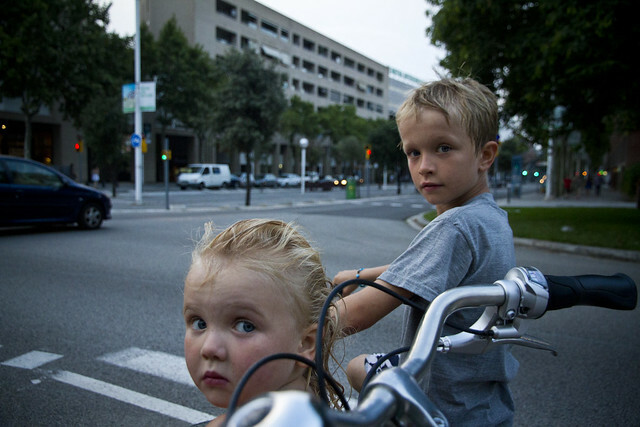 How Copenhageners Lulu and Felix wait for a red light in Barcelona. Not bad at all. My view each day on the cargo bike. 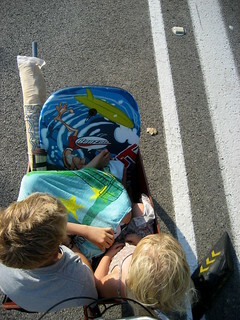 Heading towards the beach with our beach gear. Afternoon snacks on the way home from the beach. Bikes are the best hair dryers after a last swim before heading home. 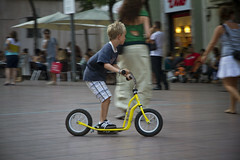 In our local neighbourhood there were ample opportunities to continue rolling. Heading up the hills behind Barcelona. Felix was so proud he nailed it. 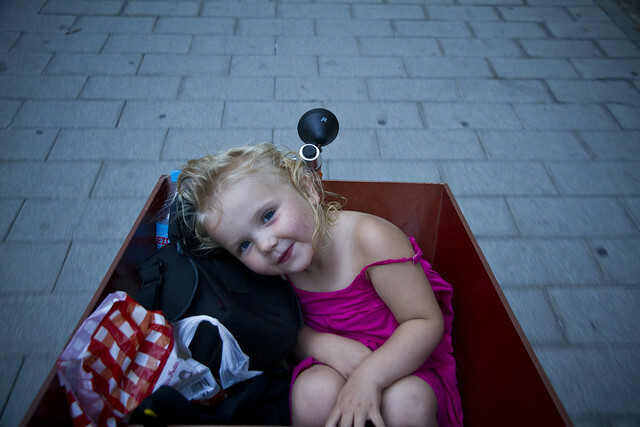 Daddy nailed it, too, on a Bakfiets with The Lulu inside. Damn skateboarders blocking the bike lane. Loads of bikes at the beaches. 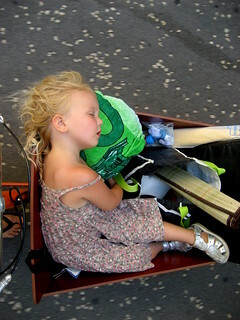 Beaches can be tiring. Nap time heading home for The Lulu. Beautiful! Probably next time Lulu will be able to self-propel all that way. I know she can cycle, but see that the distance is still a bit much for her. Skateboards are now authorized on Montréal bike lanes. While I don't want them to be ticketed, I do confess I find them annoying, as their movement is so different from a biycle's, with many sudden stops. I'm sure there are other bicycle-friendly places with beaches, but they aren't cities in the way Copenhagen and Barcelona are.